Hello Everyone! Last week we talked about organizing your Silhouette files in Silhouette Studio/Designer Edition software. This week, I am sticking to the same organization theme. 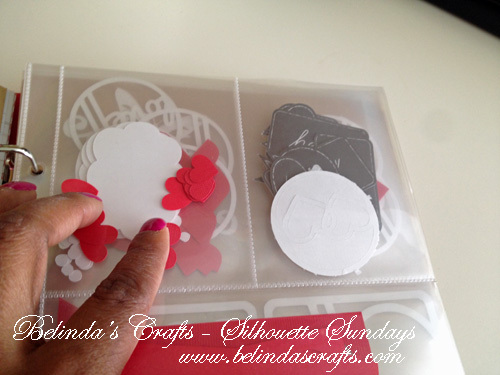 One thing that will help you to use those amazing cut files that you have is to go ahead and cut them. Since I do Project Life and scrapbook, I have a lot of cut files that I use as embellishments and/or 3×4 cards to fit in the page protectors. 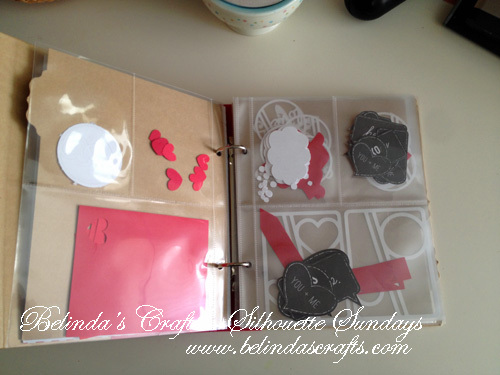 So I chose a Snap 3-ring album with the Simple Stories Mix and Match 3 by 4/4-inch by 6-inch page protectors to store some of my cut files. I pick files and fill the page with them cut them by the sheet. This way I have extra ones to use when I need them. It also keeps the files visible which means I am more likely to use them. 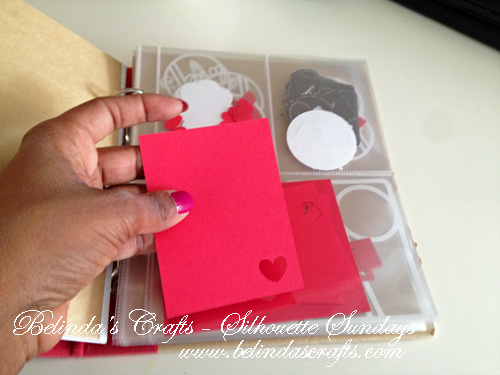 I like these page protectors because I can store small cut files in the smaller pockets and larger files like the 3×4 card I am holding in the picture above. I can keep the small files like the hearts you see in the picture above and I don’t lose them. I can just pull one out and attach it to a scrapbook layout or in my Project Life (PL) album. 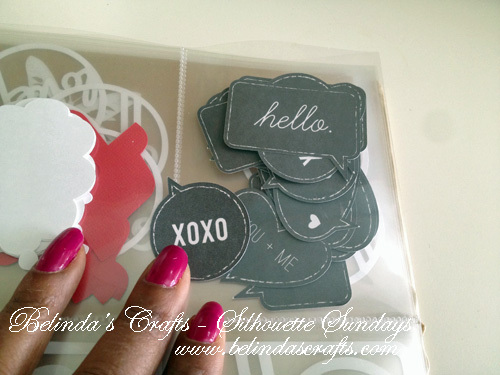 This year, the chalkboard look is popular so I cut a bunch of these chalkboard wordbubbles to use in my PL and layouts. The nice thing is that you can see through the pages so you can see all of the files and to be honest once cut, I want to use them. It’s also portable to take to a crop and you have your own accents. 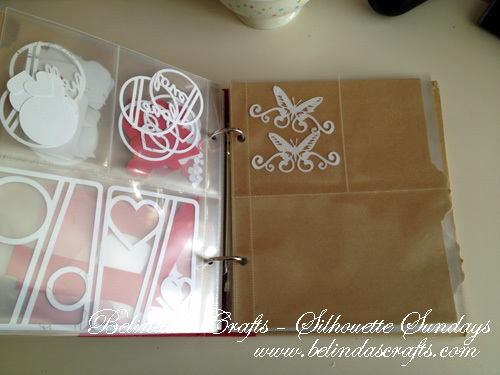 I know this post is photo-heavy but I love this butterfly flourish file and wanted to show you it. I also plan on adding more full page protectors so I can cut out a bunch of the pretty doily files I have to use on cards and layouts. At this time I don’t have the tabs categorized but something I may end up doing depending on how much I fill the album up. What type of systems do you use for your files or do you cut at you need them?